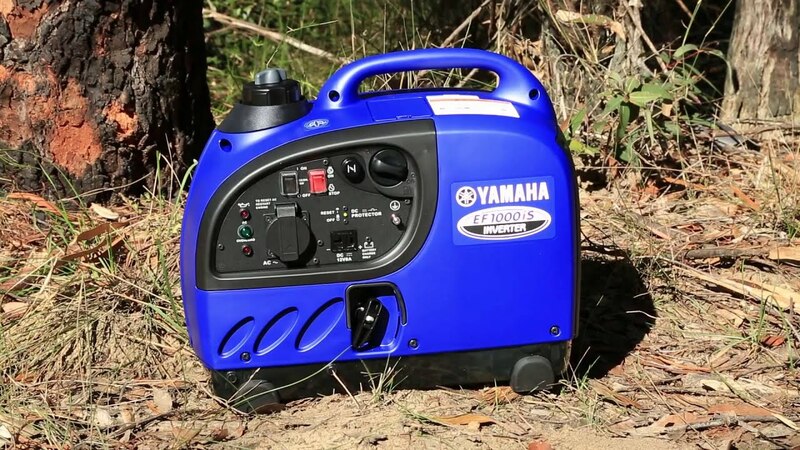 A portable generator is a great piece of equipment to add to your adventure gear, but with many options on the market how do you choose one that suits you? This helpful guide will give you the info you need to get it right. These generate the cleanest power possible, called pure sine wave power. They are suitable for powering any equipment, including sensitive electronics. They are also lighter, quieter and more efficient than conventional generators. 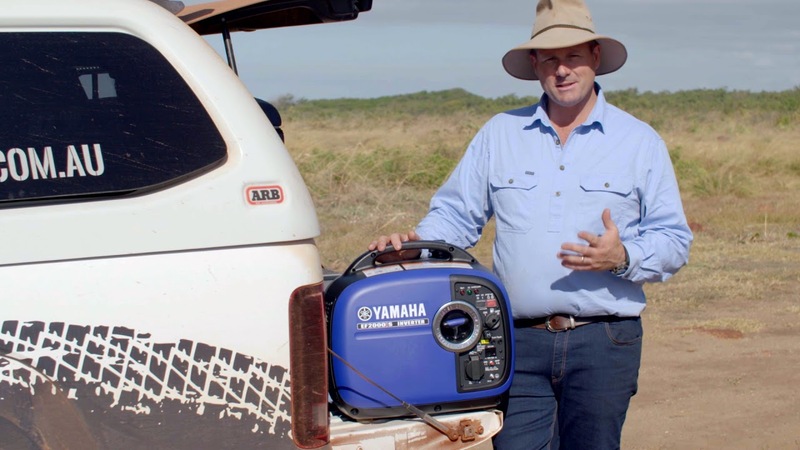 Consumers usually think of a portable generator as something one or two people can carry easily, but generator manufacturers and retailers also use this term to refer trade style generators that may or may not be inverters and may weigh up to about 200 kg. Certainly not portable in the same sense! The first type is often called a ‘recreational generator’ by the industry, but we will use the term ‘portable inverter’ in this guide the same way consumers do. A portable inverter therefore is small unit, capable of being moved by one or two people, which produces clean power that will safely power any appliance. They are also petrol powered. Other sorts of generator include trade and diesel types, and while we won’t discuss them here, the same buying tips apply. 2 Determine the maximum total load for these appliances, including start up requirement. This is usually given in watts and can be found on the data plate or in the manual for the appliance. Starting power is higher than running power for appliances with electric motors and compressors, such as air conditioners, so it is important that you get this information. Often it is not found in manuals and you may need to contact the manufacturer. 3 Choose a generator that can handle the maximum load. Generators are sized in kVA, if the rated output in watts is not given multiply the kVA by 0.8. This will give you the rated output for the generator in kW (multiply again by 1000 to get the number of watts). Because many appliances require additional power for starting than running, you may be able to use a smaller generator if you don’t start all of the appliances at once, or if you turn some off while using others. Even after working out the size of generator you require there are a lot of options to choose from, but they will not all be the same! Below are some features to look out for. Weight: The lighter the better, and there can be significant differences between brands. Noise: A noisy generator is not popular on a campsite! Most generator noise levels are measure in decibels at 7 metres from the unit (dBA @7m). As a point of reference 60 dBA is about the level of an average conversation. When comparing noise levels it is important to remember the decibel scale is logarithmic, not linear. This means 70dBA is actually twice as loud as 60dBA. Every 10dBA increase is twice as loud. Smart throttle: An automatic throttle adjusts engine revs to match the load. This helps to reduce noise and fuel consumption. Run time: Better quality units offer longer running times, reducing the frequency of refuelling. Fuel petcock: This allows you to shut off fuel and run the carburetor dry. You will be able to avoid stale fuel gumming up the carburettor and prevent smells leaking during storage and transport. Warranty: You will be able to ensure maximum life time for your portable inverter with a quality warranty. Look for brands that are easily contacted and will stand by their products. The longest warranty available on the market is currently four years. Service and parts: Accessing spare parts and servicing is important for the longevity of your unit, so a brand with a good service network will ensure years of enjoyment.